It was struck in 1361-9 during a treaty/truce in the hundred years war. 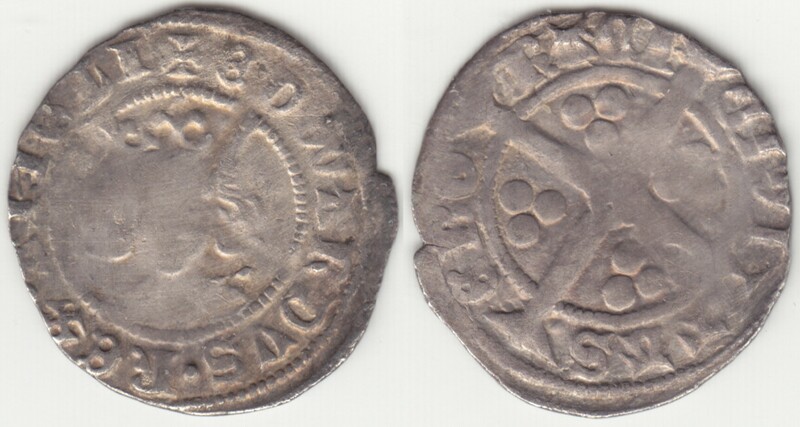 It is attributed by the kings name and title EDWARDVS.REX.ANGLI at the start of the obverse legend and the unusual shaped X. 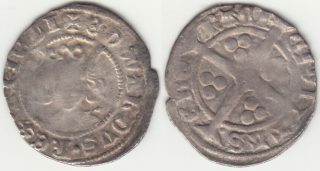 The mint was York indicated by the reverse legend CIVITAS EBORACI (city of York). A ticket that came with it says it came from the Grantham Hoard (deposited c. 1375-80 and found in 1994). This consisted of over 400 silver coins. 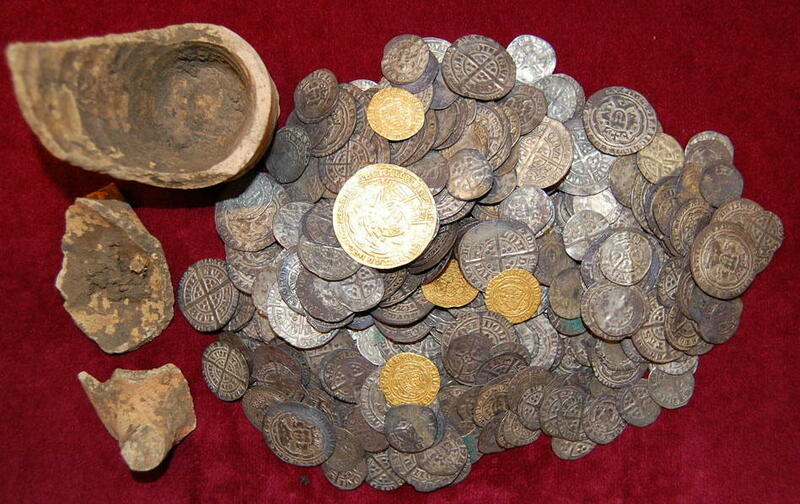 A similar hoard was found in 2009. That contained 4 gold coins but the silver content was close to that of Grantham. This image of hoard ESS-AB0B30 is from the UK’s Portable Antiquities Scheme.